2005 S80 Camshaft Orientation following valve repair ??? Hi folks, new to this forum. I am in the process of completing a head rebuild on my 2005 S80 and have run into a situation where I'm not exactly sure of the camshaft orientation when replacing the camshaft cover. I've read many posts and read the service manual, however they all only state at which angle the transmission end of the cams need to be aligned (see picture). 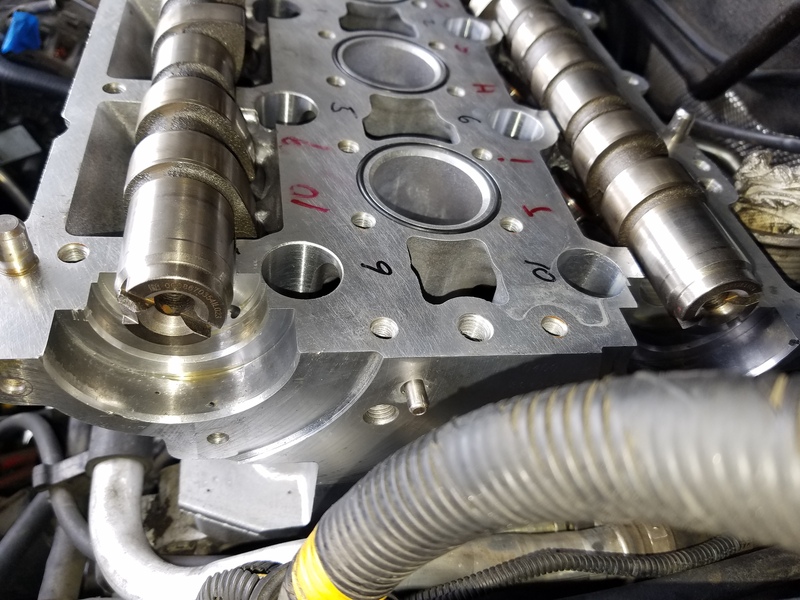 Because each camshaft can be off by 180deq using this method, I need to find out what is the proper orientation using the serial numbers imprinted on the end of each camshaft before assembling the camshaft cover. Any help would be most appreciated. Thanks.